Χάρη στην ποιοτική διαμονή και την άριστη εξυπηρέτηση του Centurion Hotel Resort Okinawa Nago City, στην επίσκεψή σας σε Οκινάβα θα νιώσετε σαν στο σπίτι σας. Από εδώ, οι επισκέπτες μπορούν να έχουν άμεση πρόσβαση σε όλα όσα η πόλη έχει να προσφέρει. Από τη βολική της τοποθεσία, η ιδιοκτησία προσφέρει εύκολη πρόσβαση σε κορυφαίους προορισμούς της πόλης. Με τις υψηλού επιπέδου υπηρεσίες και την μεγάλη ποικιλία ανέσεων, το Centurion Hotel Resort Okinawa Nago City δεσμεύεται ότι η διαμονή σας θα είναι όσο πιο άνετη γίνεται. Τα δωρεάν WiFi σε όλα τα δωμάτια, 24ωρη φύλαξη, ημερήσιος καθαρισμός, ταχυδρομική υπηρεσία, υπηρεσία ταξί είναι μόνο λίγες από τις εγκαταστάσεις που κάνουν το Centurion Hotel Resort Okinawa Nago City να ξεχωρίζει από τα άλλα ξενοδοχεία στην πόλη. Η ατμόσφαιρα του Centurion Hotel Resort Okinawa Nago City αντανακλάται σε κάθε δωμάτιο. Στην ιδιοκτησία θα βρείτε επίπεδη τηλεόραση, μοκέτα, λευκά είδη, παντόφλες, καναπές, καθώς και πολλά άλλα. Εξάλλου, το ξενοδοχείο διοργανώνει πολλά ψυχαγωγικά δρώμενα έτσι ώστε να έχετε πολλά πράγματα να κάνετε κατά τη διαμονή σας. Το Centurion Hotel Resort Okinawa Nago City είναι μια έξυπνη επιλογή για τους ταξιδιώτες στη Οκινάβα προσφέροντας κάθε φορά μια ήρεμη και ήσυχη διαμονή. Cleanliness is an issue for me. Stuffy room. Intentionally Paid extra for a double room with bunker bed expecting for two person stay. But hotel only get 1 bed ready and expecting two person to share a bed. When asked, they responded: the bunker is for 3rd person unless I pay extra for the bunker bed mattress. If I knew, I wouldn’t even get a from with bunker bed! Disappointed stay! Not much food choice at night surround hotel by walking distance. In love with this stay. 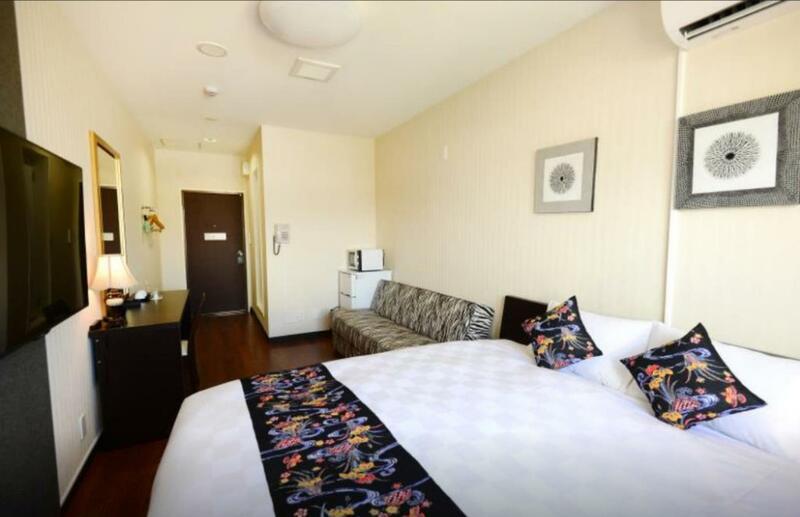 The room is big, and would be totally suitable for 3 adults. Hotels' toilets in Japan seems to be generally small, this is also no exception. Despite that, it has a bath tube, many amenities that you would required. People going Okinawa will usually drive, so I am not sure if it would be hard if is by public transport. Parking is free, and there are 3 sites that you can park at. Be aware that the lots are bit squeezy. And the last parking site (if the other 2 sites are full) is kinda a distance (~5mins walk) from the hotel. Oh, service is good as expected. Overall, definitely would recommend people to stay here if you staying in Nago or planning to explore the North Okinawa. It was a good base to explore northern Okinawa. Lots to explore and site see from Nago. Travel time shorten to Marine Park and great aquarium. North Coastline of Okinawa is secluded and quiet as not many tourists venture the area. The stay was good. The hotel was easy to find. Slightly away from the main road so the noise is kept to minimum. Lots of free car park spaces available. One cons of the hotel is that is it a little bit small, the double bed can barely sleep 2 comfortably. Other than that, everything was good. The standout feature of the room we stayed in was its size. Huge for Japanese standards. Not the most modern or sleekest in design but has everything you'll need, including a microwave! They could have put some cupboards and shelves though, there were none. Location wise, if you drive you'll find it very convenient to get to anywhere in Nago. Except for a posh restaurant within the hotel, there isn't much nearby. A 5 minute drive away will bring you to many supermarkets, restaurants, etc. Parking space is limited and gets filled up very early. You would have to park about 100m away when that happens. Overall, this hotel is good value for money. Good location to stay and travel around the northern part of Okinawa, near some local restaurants within walking distance. have limited parking in front of the hotel, but have plenty of alternative carpark place nearby. I have stay 1 night 3 persons with 4,300 baht/night. No breakfast, room small, no free bottle of water. I’m very angry this hotel also charged me 1,500 yen for parking service. I stayed in okinawa 4 night. No hotel charged me parking except loiser hotel and loiser hotel was the most expensive. The other hotel that we stayed was cheapher than about 3,000 baht/night ,included breakfast and no charge for parking. 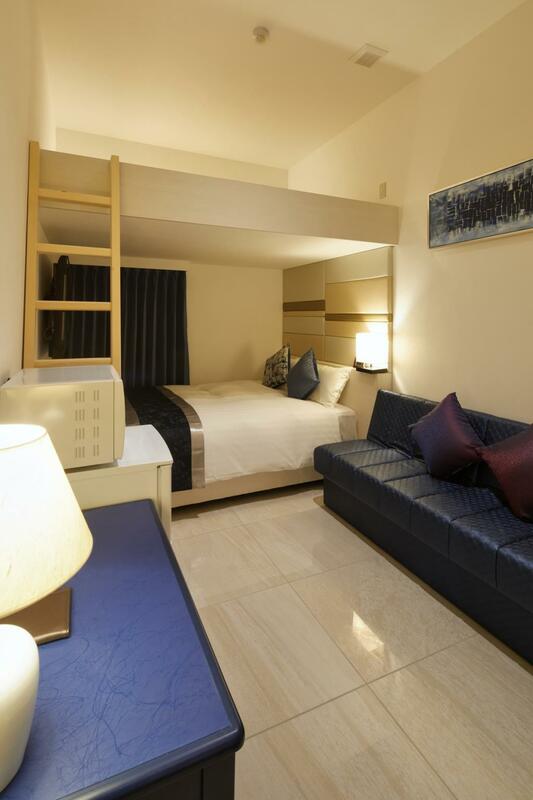 I won’t stay in loiser hotel if I go to okinawa. Need to have car in order to stay here. Not in walking distance to any mini marts, MacDonald, food. Room is spacious but toilet is small. The tap in the toilet can only contribute water to either the shower or the sink at the same time. The material of the tap is made of metal, abit hot when u need to change the direction of the water output. No more free food at hotel lobby for breakfast. This service has stopped. Good to have free washing machine and dryer in the common area and with microwave inside the room. Just remember to bring your own washing powder. We went out at about 11am and the staff was using the passenger lift to do loading and unloading of huge amount of towel. In the end, I had to take the stairs wearing a pair of 10cm heels. Quite a nice place with a comfortable room. But theres no supermarket nearby and convenient store is around 5-10 mins away. Location is close to bus terminal. Recommend for people who do not drive and have a budget. The room isnt very big, just like standard Japanese room. The restaurant looks very decent tho! 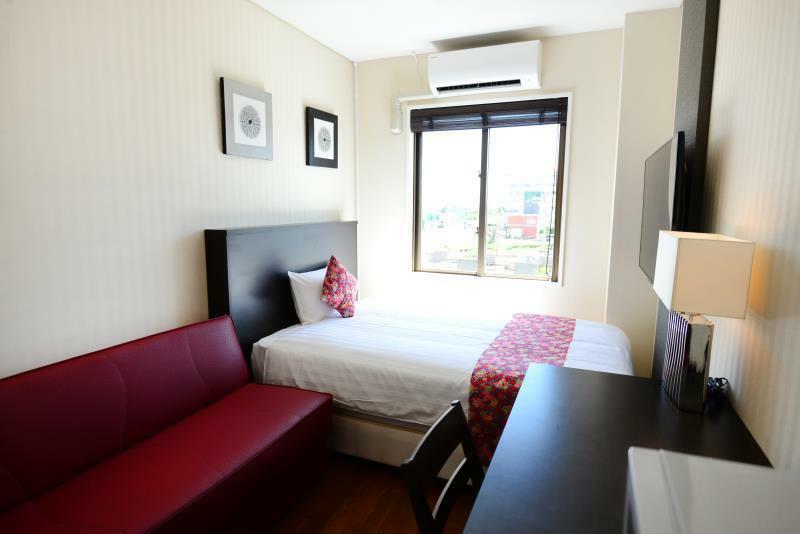 A no frills hotel with great location to various sightseeing destinations and many eateries nearby. 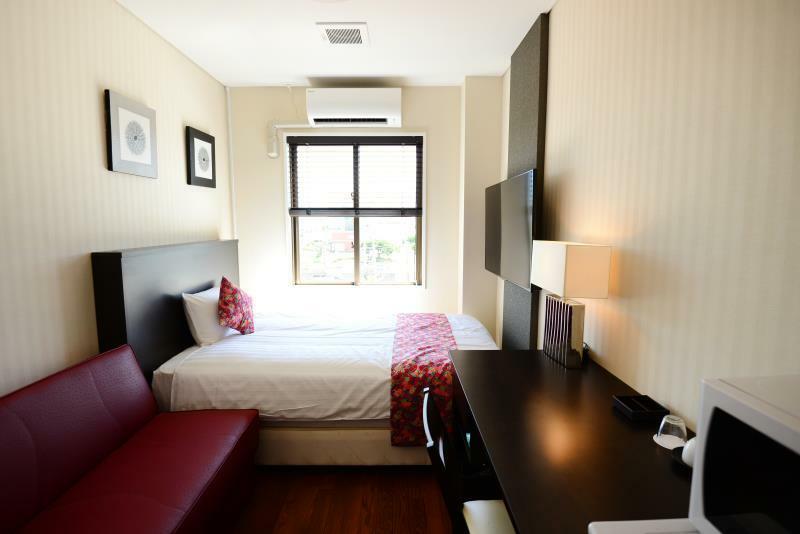 Room is really clean and toiletries are of really good quality. The hotel is tiny in size but it's rooms have all essentials. There's even a microwave oven in a room. Really convenient. Staffs are polite and helpful, parking is free. Bathroom set, face wash 2 type, shampoo, conditioner, body wash and lotion. For 4 people be seperate bath and toilet which best comfortable for us. Nice, pleasant hotel along the main road. Free parking available. Nearest convenience store is 10-15 min walk away. Nice soba shop (Miyazato Soba) nearby. Can walk but better to drive to get to macdonalds or the 24 h supermarket (about 5 minutes drive). If you don't get the hotel breakfast or have your own food, macs or the food at the supermarket are your other options as most eateries in the area open after 11 am. My partner and I really staying here. The location is fine, within easy driving distance to most places. Particularly love the design and condition of the room, room size is quite generous consider it's Japan. Definitely didn't feel cramped even if we had 3 luggage amongst us. Staffs are polite and helpful, parking is free. We were quite happy with our choice. Good hotel for traveller who didn't rent a car. 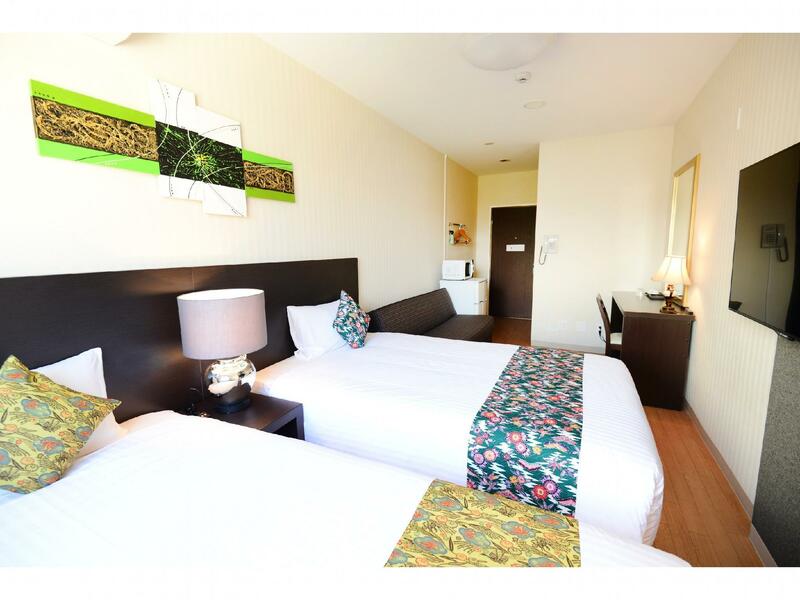 The hotel located 5 minutes walk to Nago bus terminal. There is free shuttle bus to Centurion hotel Churaumi. (about 5 minutes walk to Ocean Expo) Bus is available 2 times per day on Mon-Fri. You must reserve at the reception. Room is clean and well-equipped. (TV, hair dryer, refrigerator, kettle and microwave oven) Towel, shampoo, soap and body lotion are provided. There are free 2 bottles of water and ice. You can use washing machine and drying machine for free. (detergent costs 100 JPY) Staffs are nice and helpful. They can speak English well. Check-in time is 3 pm. Free luggage storage is available before check-in. Breakfast are many kinds of bread, coffee and juice. Good for a short stay to explore the various points of interests near Nago. Having a car would definitely be a plus. Parking is adequate either in front of the hotel or the lot next door. 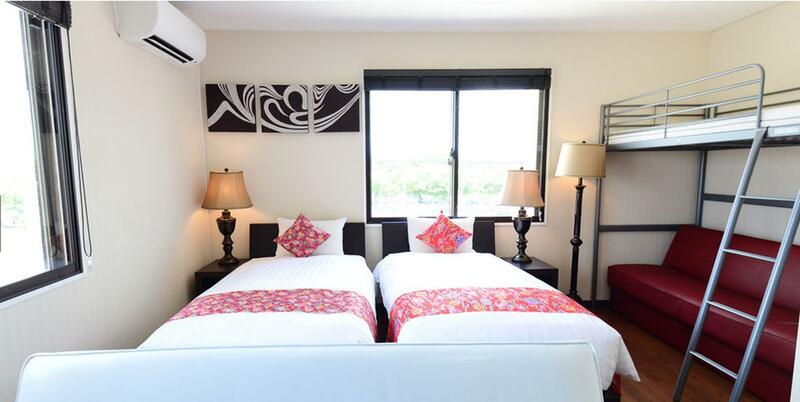 Walking distance to local restaurants and the beach. There is a restaurant at the hotel though we didn’t try the breakfast there as we generally try to go out and find something local to eat. No convenience stores nearby. Or cafes for that important morning coffee though the vending machine in the hotel is adequate dispensing coffee and other beverages.